for Those in Need of Advice on Elderly Care. Companions of London’s home care experts are here to provide advice on finding the right support for your elderly loved one. Our articles address key topics, such as how to find the right carer, what the difference is between dementia care and domiciliary care, when to seek respite care and what to expect from your carer. Whether you are just in the process of considering care, or you’re looking to move from one care service to another, you’ll find useful advice in our Knowledge Base. Companions of London connects families with the right care provider for their loved ones. Our network of highly-skilled professional carers can cater for every need, whether your requirements are regular domiciliary care, short term respite care or Alzheimer’s care. Call us now on 020 7483 0212 and we’ll connect you to the right domiciliary carer. Not sure whether your elderly relative or friend needs home care assistance? Many older people are keen to maintain their independence at home for as long as possible, and finding the right carer can make this possible. We’re here to help. Maintaining a sense of wellbeing and comfort is vital when facing the mental and physical health concerns of later life. 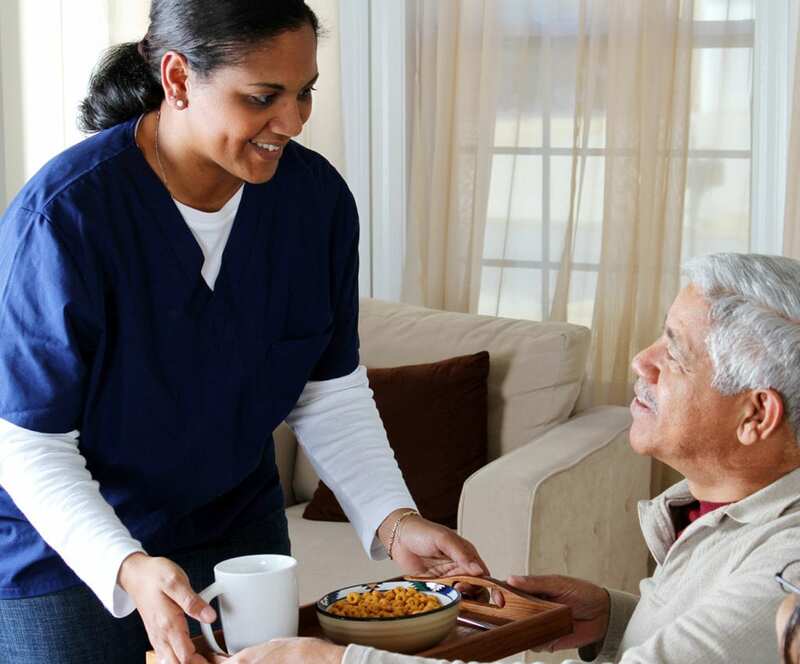 Our home care experts are here to provide advice on preparing healthy and satisfying meals, maintaining social connections and more. There are many risks to your safety when living alone and elderly. The right preventative steps can protect you from the risk of fire, falls, burns or poisonings, three of the most common accidents involving older people. Let us help you find the right carer for your home care needs. Contact Companions of London on 020 7483 0212 or email [email protected] to discuss your requirements.